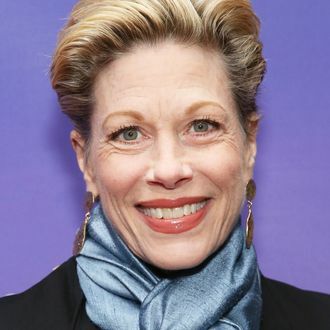 Marin Mazzie, the thrice Tony-nominated star of musicals like Passion, Ragtime, and Kiss Me Kate, died today at 57, according to Playbill. Mazzie was diagnosed with ovarian cancer in 2015, but continued to perform — notably replacing Kelli O’Hara in The King and I in 2016 and appearing in Classic Stage Company’s Fire and Air this spring — becoming an advocate for raising awareness about cancer in the process. Born in Illinois and raised in Kalamazoo, Mazzie’s first break came when she was cast in a La Jolla Playhouse revival of Merrily We Roll Along by singing “Not a Day Goes By.” She went on to originate the role of Clara in Stephen Sondheim’s Passion from 1994, and then to play Mother in Ragtime, letting loose with the powerful “Back to Before.” Both roles earned her Tony nominations, as did her performance in the 1999 revival of Kiss Me Kate. After that, she appeared in Man of La Mancha, Spamalot, and replaced Alice Ripley in Next to Normal, starring opposite her husband Jason Danieley, whom she met in in 1996 during an experimental production of The Trojan Women: A Love Story. In 2014, she led the stage adaptation of Bullets Over Broadway. In the lead-up to her death, Mazzie performed cabaret acts with Danieley in New York and across the country through this year, only stopping in light of her health.